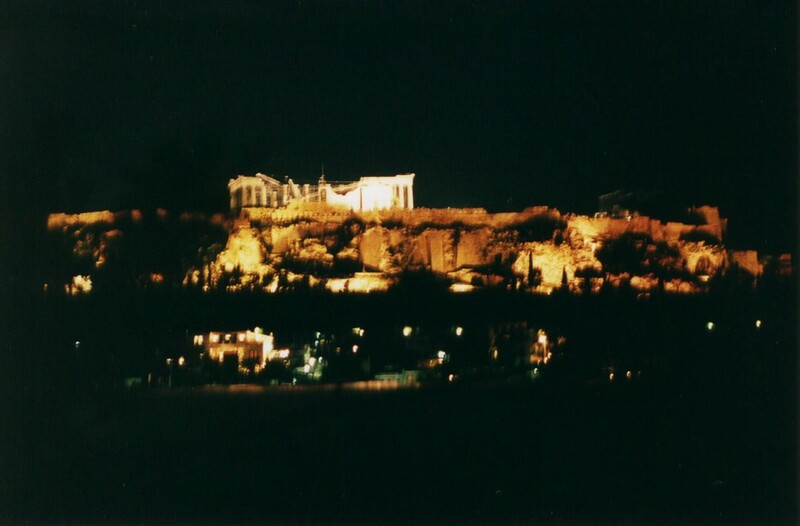 ... and this was the nighttime view from the rooftop bar. 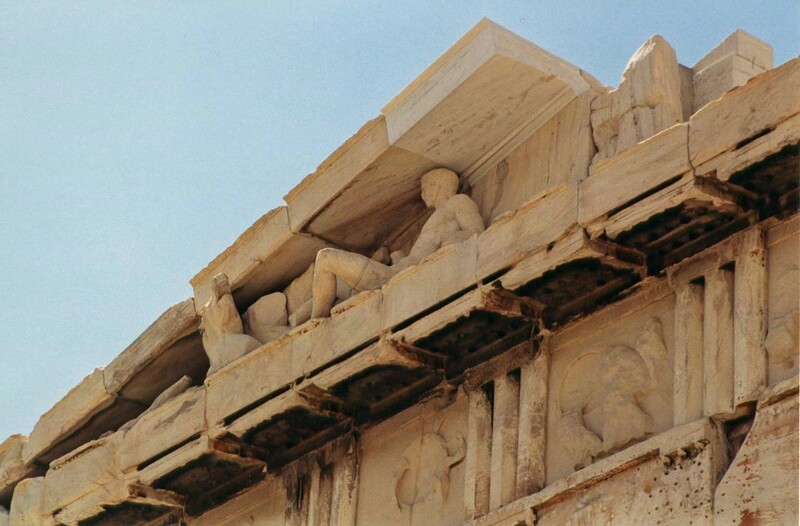 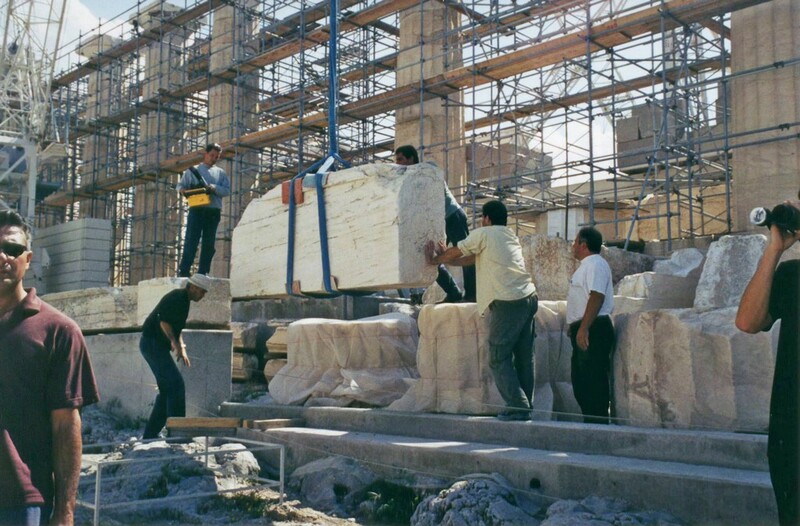 While we were there, the Parthenon was being partially dismantled for refurbishment before the Athens Olympics. 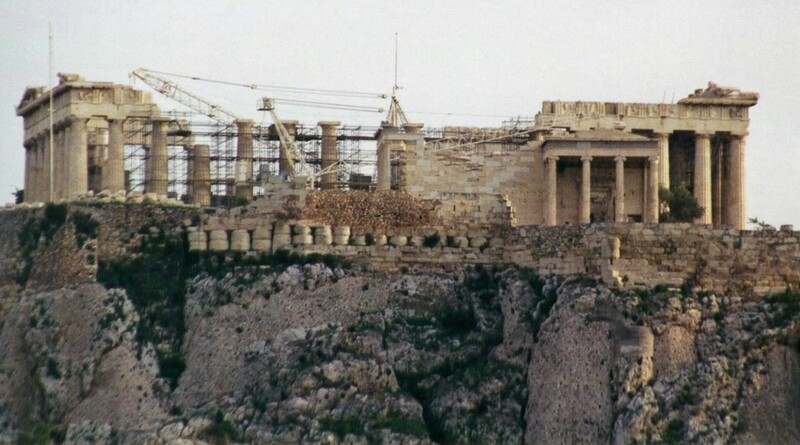 We went to visit the Acropolis, of course. 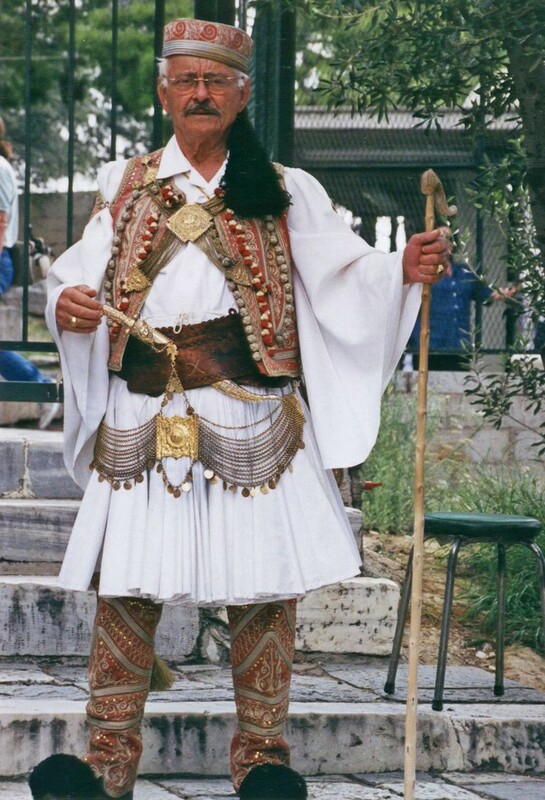 This gentleman in traditional dress was at the entrance, and enjoyed being photographed. 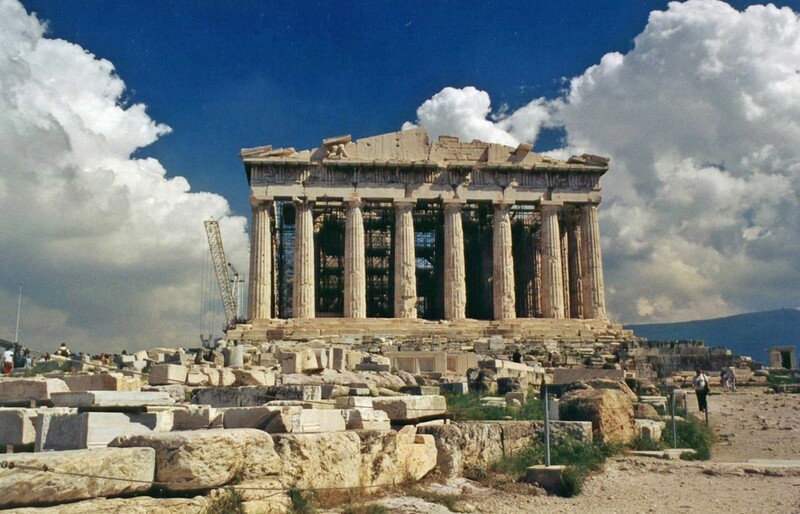 Work in progress on the Parthenon. 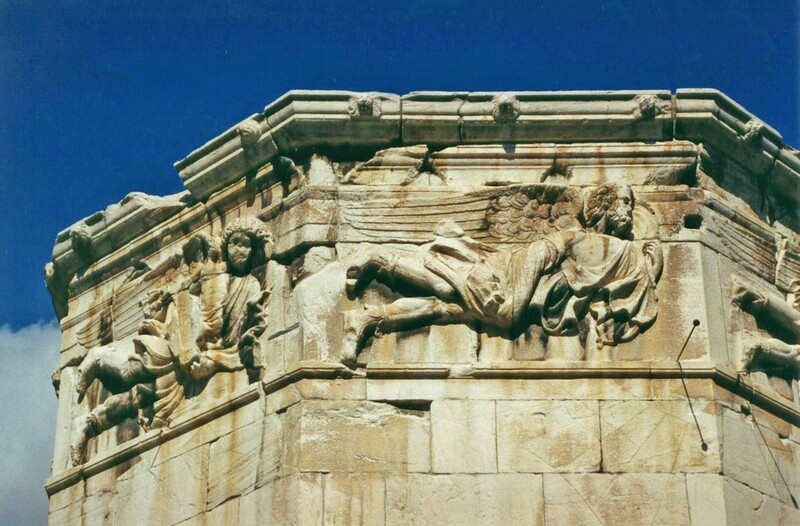 One of the few statues still in place. 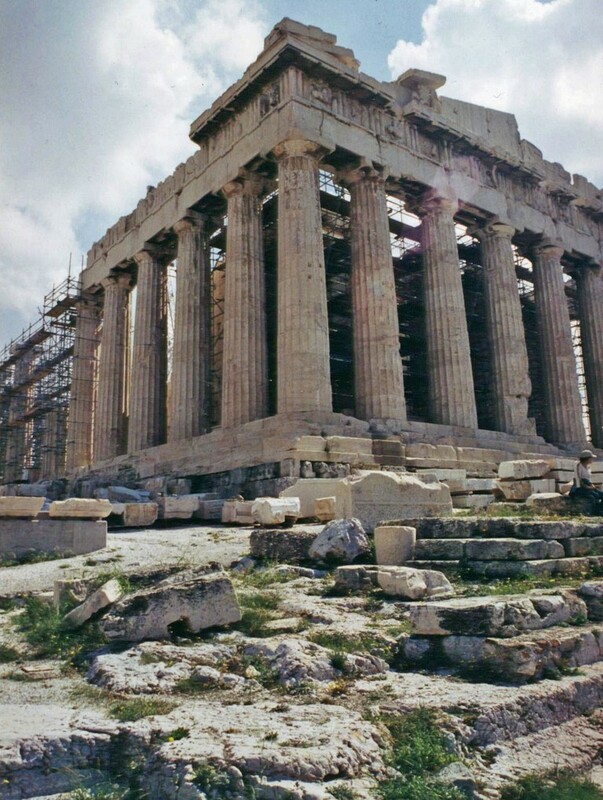 Even after all that has happened to it, the Parthenon is still one of the world's great buildings. 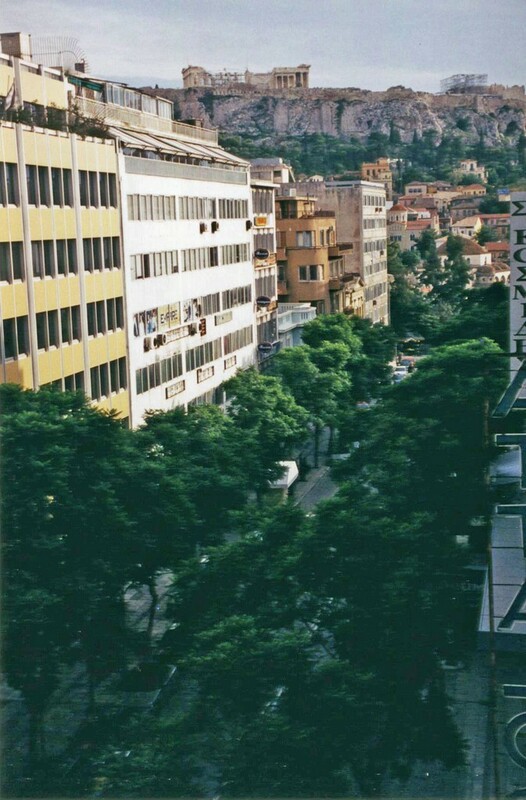 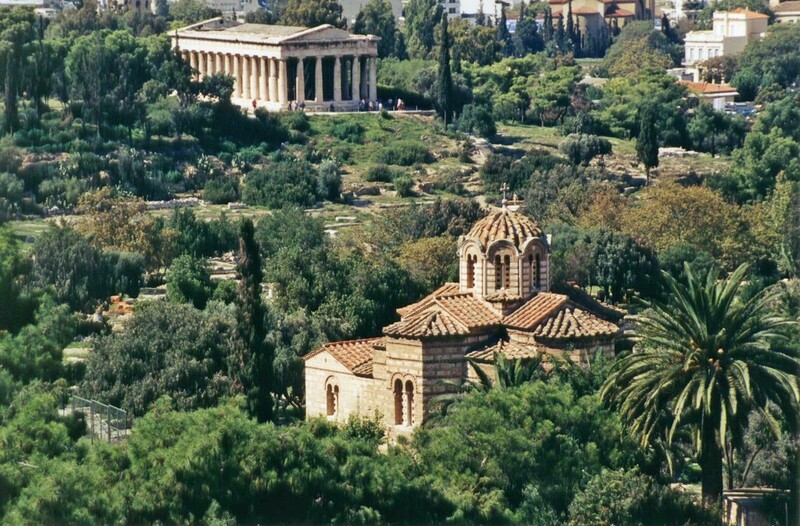 View of the Ancient Agora from the Acropolis Hill. 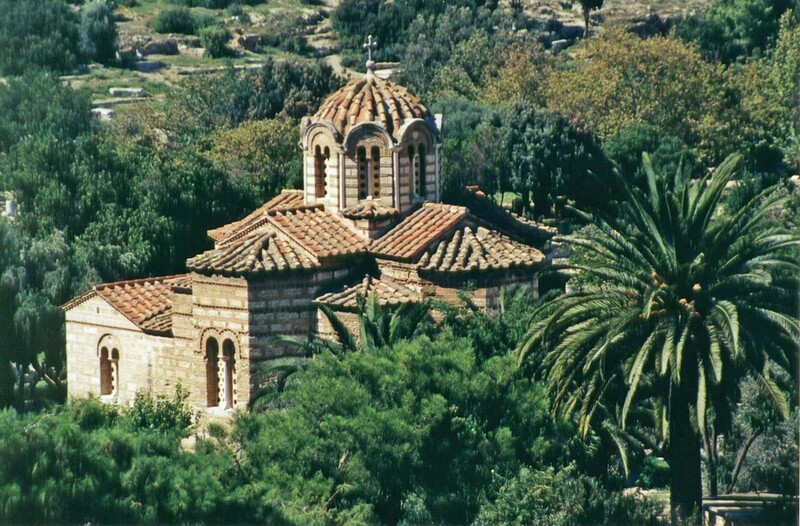 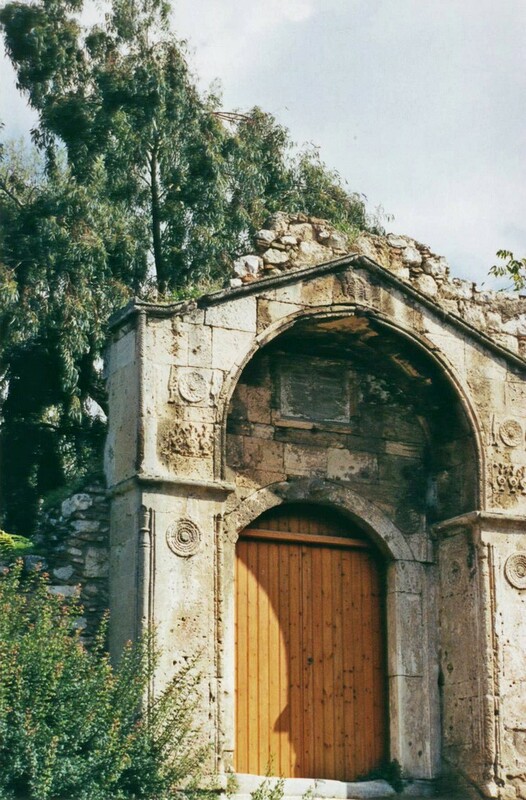 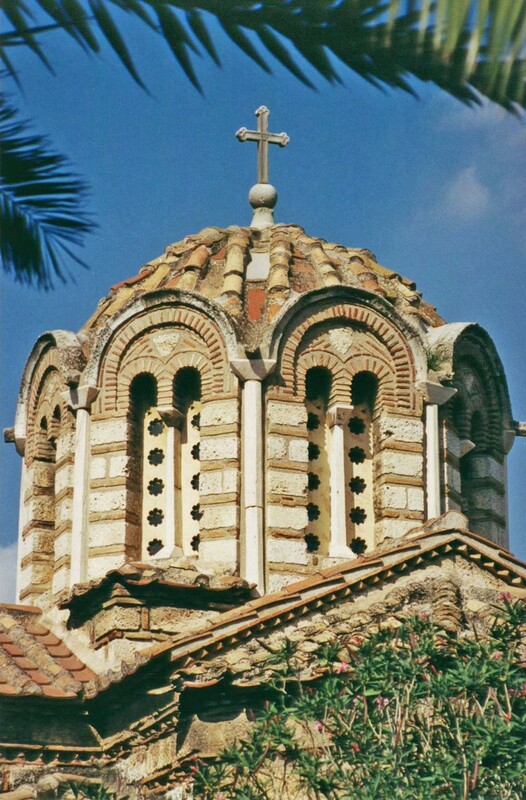 The Byzantine Church of the Holy Apostles in the Ancient Agora. 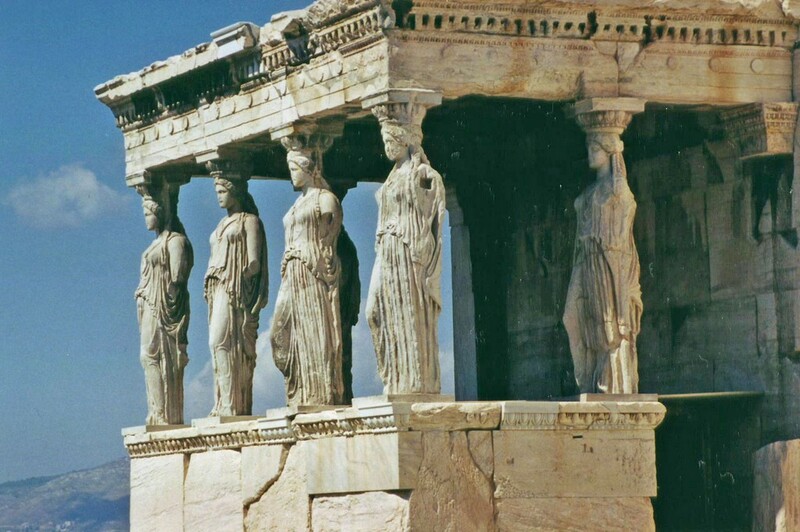 The Stoa of Attalos in the Ancient Agora. 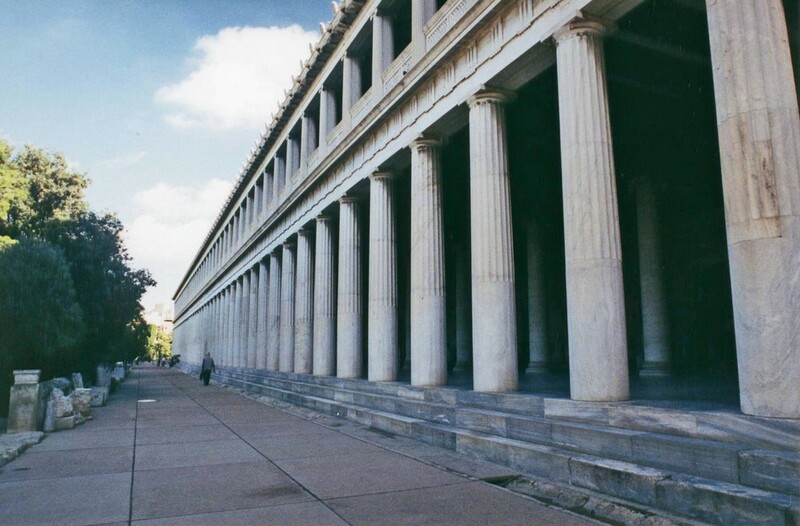 Closer view of the Stoa of Attalos, which contains an excellent museum of 5000 years of Athenian history. 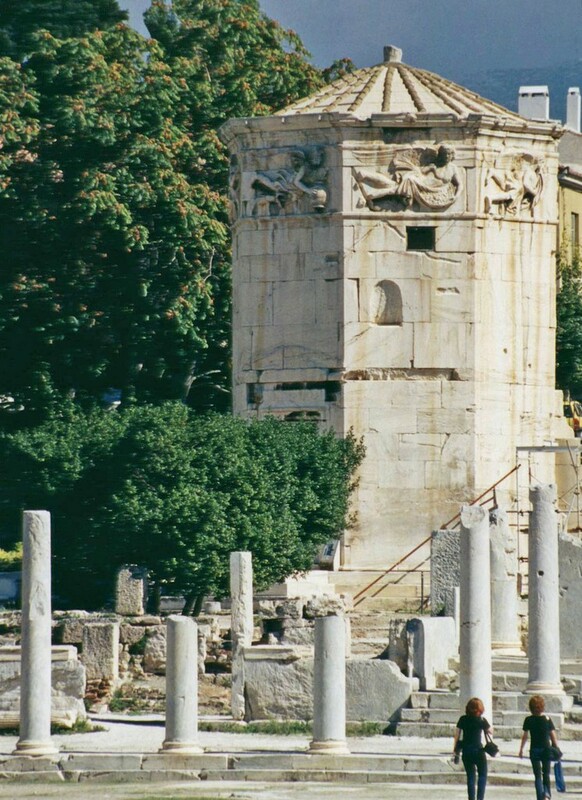 The Tower of the Winds. 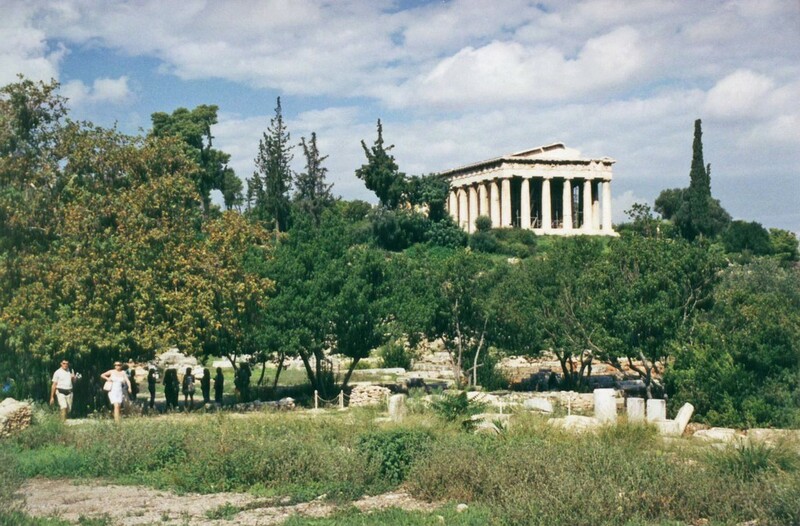 Ancient Greek architecture and Australian gum trees. 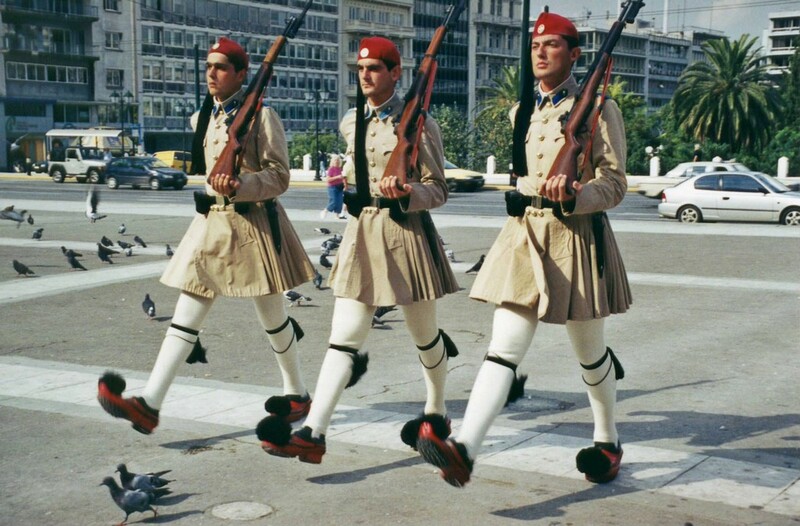 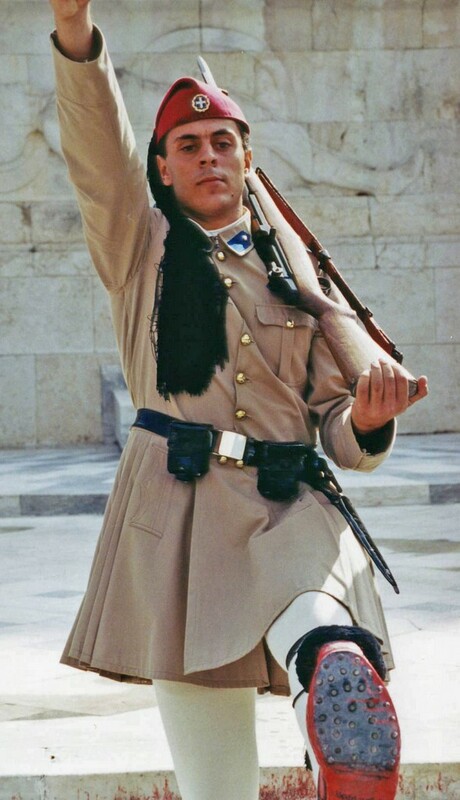 We happened to be in Syntagma Square for the Changing of the Guard outside Parliament. 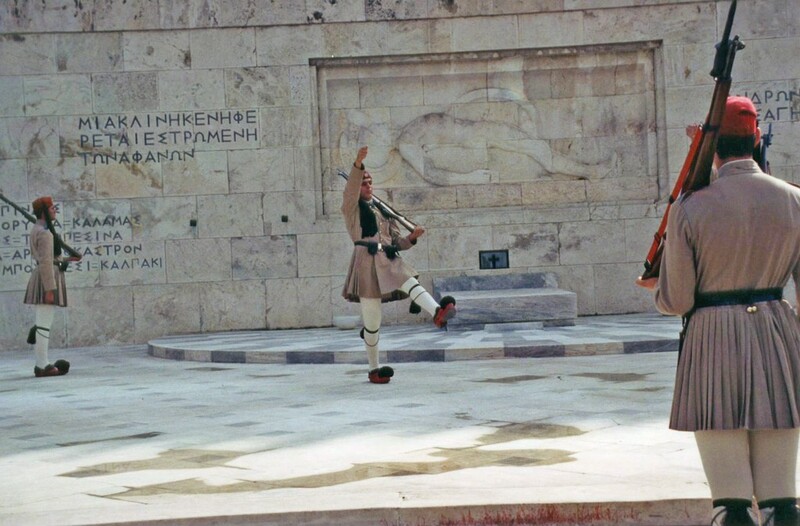 Then from Athens it was off to out last stop in London.